Randall “If That’s My Real Name” Munroe, author of the xkcd website, recently released a book titled What If? 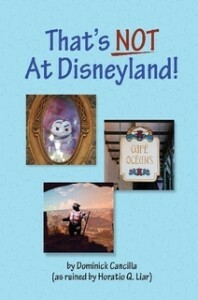 : Serious Scientific Answers to Absurd Hypothetical Questions About Disneyland . In the book, Munroe (who has degrees in both rocket science and artistic minimalism) takes a serious look at what some might consider to be frivolous, science-centered Disney questions. What would happen in the Mark V Monorail was accelerated to relativistic speeds? What would happen if guests maintained their rotational velocity after exiting the Mad Tea Party? If the Monsanto House of the Future were built today but everything in it was still projecting the same amount of time into the future, what would it contain? If every teenager at Disneyland on a typical grad nite had a straw, how long would it take them to drain all of Disneyland’s water features? If all of the Disney parks went to war with each other, which would win? What if Disney’s Animal Kingdom was, in every possible literal sense, a half-day park? How much additional ink would be used over the course of all history if Disney used capital letters when referring to “it’s a small world”? How many neutrinos has the Matterhorn absorbed during its entire existence? If the perimeter of all Disney parks lengthened by 1% every hour, how long would it be before everyone was living in Disney World? If all of the Autopia cars were merged into one super Autopia car, how fast could it go? Would the economy of Liberia be improved or harmed if all Liberian dollars were replaced with Disney dollars? If all Disney World attractions were removed and nothing but Ellen’s Energy Adventure copies built, how many copies could there be without necessitating changing any of the parks’ footprints? How much additional damage can a human in a Winnie the Pooh costume take compared to a naked person? What about a princess dress? Tinker bell? How hard would a child have to hug Mickey Mouse to compress him enough that the tidal effects of his personal gravity field became significant? How would Mission to Mars have been different if it really went to Mars? How long could an optimally designed and constructed animatronic Abraham Lincoln operate without human interference if elected President? What if there were rifts in the space/time continuum such that each non-Fantasyland/Toontown Disneyland land actually existed in the time period it represented? What would it cost to replace all the world’s birds with Tiki Room birds? How long a strand of DNA would it take to encode the entire Carousel of Progress show (current version)? If all of the energy used to produce Disney fireworks displays around the globe was turned to curing disease instead, how many lives could be saved? How would the world be different if the rate of computer-science innovation was equivalent to the rate of Jungle Cruise joke innovation? What would happen if one person ate the most expensive adult meal on the menu at every Disney World restaurant within 24 hours? 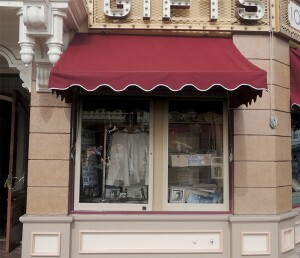 What if everyone who had ever visited Disneyland visited tomorrow? Including the dead ones? What current Disney attractions could be built and operated in Disney Antarctica? If everything proceeds just as it has been for the last ten years, at what point will Disneyland tickets be worth more than gold? If one child’s smile is one “awesome unit,” how much more awesome is Disney than Universal? We are fully in book publicity mode at the moment, but are taking some time off from busily not writing anything for the blog to let you know about a Kickstarter project for a new Disney-related book from some person whose blog we read but otherwise know nothing about, including secret details that only a committed stalker would know, because we don’t and perhaps wouldn’t want to. An explanation of how Walt Disney could get people to lose weight with just one weird old trick. Details of Disneyland’s never-build Monsanto Hall of Colonoscopies. A biographical exploration of little-known Disney employees who somewhat aspired to be Imagineers but weren’t. A central 3D pop-up-book-style full-size recreation of Walt Disney’s original Epcot Center concept model. An envelope full of cash (mostly twenties). The author promises that the book will be hundreds of information-packed pages deep, contain photographs that will look wrong if viewed through a stereoscope, and be crammed with essays that have been added to, updated, or rewritten, often to the point that they have actually been replaced by completely new essays. He will also sign books if requested, or leave them blank so you can sign them yourself. 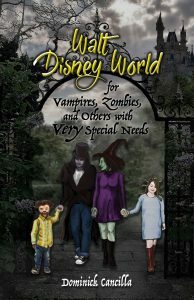 We don’t make any money off of the sales of this book, but we’re happily promoting it as part of the Disney fan community and in the hope that it will make the author feel guilty enough that he will post a link to That’s NOT At Disneyland! (currently 30% off) on his blog. Or something. It’s actual-announcement time at DisneyLies! 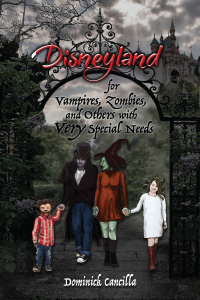 Our new book, That’s NOT At Disneyland!, is now available to order. 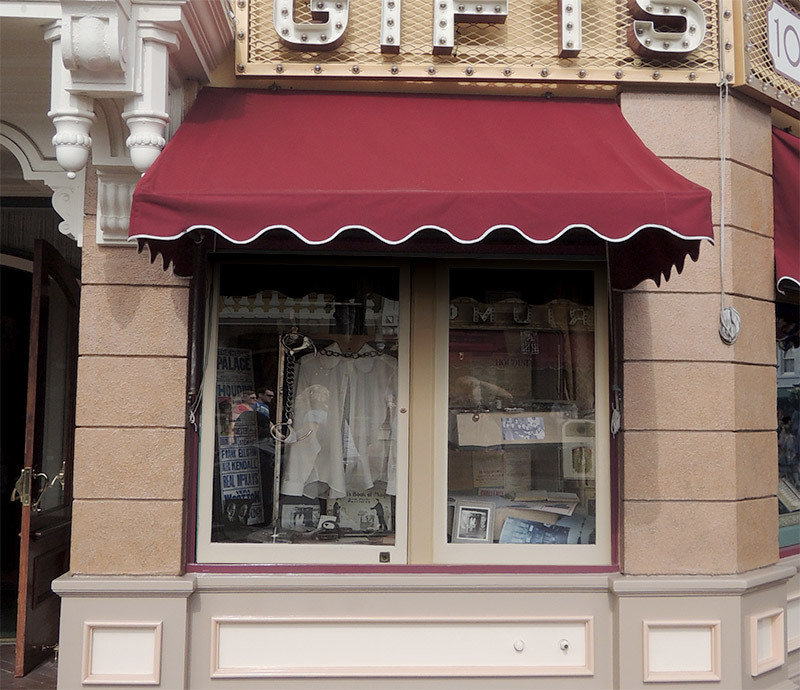 TNAD is sort of a photographic puzzle book, in which you can look at photos and descriptions of Disneyland locations that have been “modified” by DisneyLies’ own Horatio Liar. Can you figure out what’s real and what isn’t? Whether or not you can, it’s fun! The book will be available at Amazon in the near future. For now, you can find it at Lulu for 30% off. Which is better than 10% more than 20% off! Please run out and buy a copy to help us pay for our sainted mother’s eye operation*! *Example used for promotional purposes only. Mother’s eye operation and/or sainthood do not necessarily exist. The moment you’ve been waiting for is here! 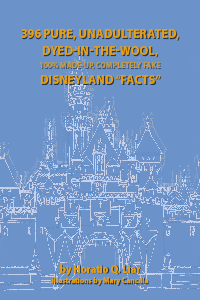 The new DisneyLies.com book, 396 Pure, Unadulterated, Dyed-In-The-Wool, 100% Made-Up, Completely Fake Disneyland “Facts”, is now available for purchase. Copiously illustrated and full of unreliable text, it’s guaranteed to be nearly entirely in English and 100% full of stuff! What Jungle Cruise jokes can’t they tell you? Who are the Fra. Junipero Serra Memorial Dance Crew? Where can you find wicker toilet paper? If you had a copy of 396PUDITW100MUCFDF you’d already know! 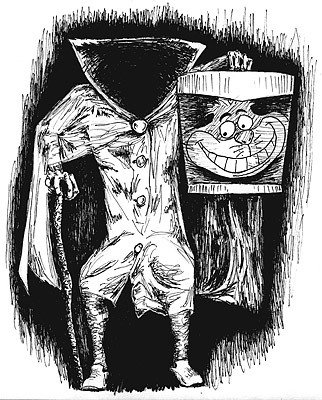 Can anyone provide us with a personal recollection of seeing the Haunted Mansion’s “Catbox Ghost”? We know that the Matterhorn queue nearest Tomorrowland has the fastest ride, but which queue is the one that smells best?